The French Heritage Society and notable guests gathered at the elegant Club Colette on the evening of February 16th for their annual Palm Beach Gala Dinner. 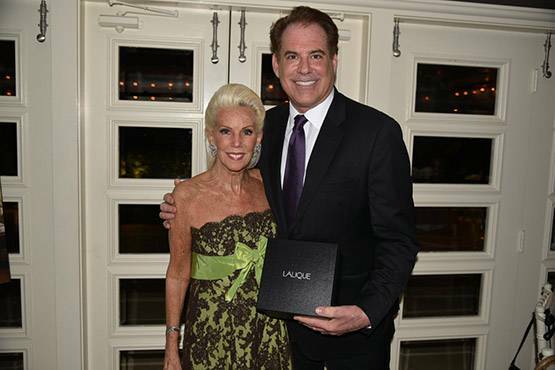 The honored guest was Timothy Corrigan, award-winning interior designer with offices in Los Angeles and Paris. 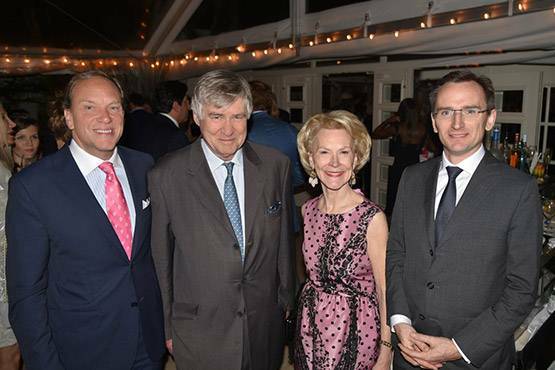 The stunning fête was held at the behest of Gala Chairs Michael Kovner and Jean Doyen de Montaillou. Additional flair was provided by CeCe Black, Board Chair of Special Events, Suzanne Stoll, Palm Beach Representative, and in the presence of FHS Chairman Elizabeth F. Stribling, FHS President Denis de Kergorlay and Consul General of France in Miami, Clément Leclerc. Proceeds from the Palm Beach Gala Dinner nurture the laudable mission of the French Heritage Society by supporting their tireless efforts to preserve French culture in France and the U.S. and to bring together individuals who share the passion of their missions: Preserving the rich French architectural and cultural heritage throughout France and in the US by raising funds for restoration, preservation and cultural grants. Attendees included: Laurie Bodor, Karen Clark, Dale Coudert, Carla & Henry Darlington, Lucy and Nat Day, Ron Fleming , Annette Friedland, Julia Hansen, Jane & Peter Hill, Sarah S. Karis, Maggie Kirkbride, Kamie Lightburn, Ray Lucchetti, Jocelyn and Robin Martin, Etsuko & John Morris, Patrick Murphy, Sarah and Chips Page, Anka Palitz, John & Lynn Pohanka, Natalie Pray, Barbara Price, Diana Quasha, Jeannie & Tom Rutherfoord, Jean Shafiroff, Suzette Smith, Sherri Stephenson, Tom Thaler, Jane & Bill Told, Lynn Tone, Missy Van Buren, Christopher E. Walling, Gil Walsh, Michel Cox Witmer.